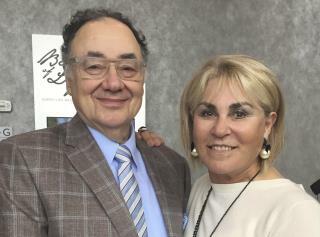 (Newser) – Fifteen months later, the murder of billionaire philanthropists Barry and Honey Sherman remains unsolved—but the Toronto Star is reporting on a mysterious CCTV video and apparently lax investigating by police. Neighbors of the Shermans say they gave police security-cam footage of a man who drove up to the victims' home on Dec. 14, 2017, the day after the couple was last seen alive and the day before their bodies were found. The video shows him going in and out of the house from his sedan three times over 29 minutes before driving away. Sadly, the Sherman family's lawyer say private investigators found the footage too grainy to produce any positive ID. This news is supposedly incorrect. From what I've heard the mystery man was actually observed a week or two before the crime, not on the 14th as stated. When the House is gone... ALL EVIDENCE OF ANY CRIME at ANY TIME will also be gone.